We are different. Our curriculum is designed with martial arts excellence in mind and is Christian from top to bottom. Welcome and thank you for your interest in Gus’ CBBA. You are looking at a very special martial arts program- this is not just another “punch, kick, block” school. CBBA emphasizes excellence in martial arts, from a Christian perspective, with a focus on self-defense and an attitude of grace and mercy. The number one cited skill gained at our school is confidence. 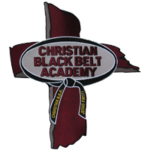 Christian Black Belt Academies, International was founded in 1996 by Pastor Troy Stein and Craig Shaw. The founders felt that there was a need for a martial arts organization that keeps its focus on the needs of the students and the development of their character into what God would have for their lives. Pastor Stein and Shaw continued with the organization with which they were previously affiliated until 2001 when they introduced a new advanced style of Taekwondo entitled, the Abishai Style of Taekwondo. Christian Black Belt Academies, International, maintains its conviction that Traditional Taekwondo training is the heart of each of our continually developing programs. Our desire is to make quality self-defense training affordable and convenient to every student that desires to excel as a martial artist. It is with these objectives that we have developed the Abishai Style of Taekwondo. Gus has been the owner of Gus CBBA since 2006. Quality self-defense training in Grinnell, Newton, and Brooklyn that is affordable & convenient to every student that desires to excel.